500 Hrs : Morning Breakfast. 0600 Hrs : Drive To Rajgir . 0800 Hrs : Upon Arrival Rajgir, Visit Gridhkut (Valture Peak). 1100 Hrs : Lunch At Hotel. 1200 Hrs	: Visit Tapo-Tharam, Venuvan, Black Buddha And Nalanda University. 1600 Hrs : Return Back To Bodhgaya. 1800 Hrs	: Dinner And Overnight At Hotel. 0700 Hrs : Visit Sujata Village. 0800 Hrs : Visit Once Again Mahabodhi Temple. 0500 Hrs	: Enjoy Boat Ride In The Holy River The Ganged. 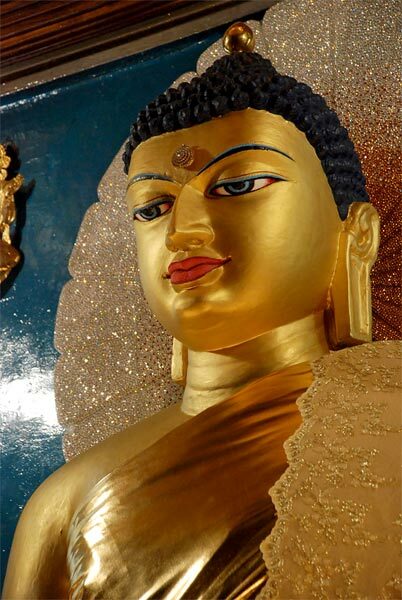 0800 Hrs : Local Sightseeing Of Sarnath Temple; Sarnath Museum, Deer Park And Dhammekkha Stupa. 2100 Hrs : Upon Arrival Kushinagar, Dinner And Overnight At Hotel. 0700 Hrs : Visit To Mahaparinirvana Temple And Ramabhar Stupa. 1100 Hrs : Lunch In The Hotel. 1300 Hrs : Drive To Lumbini. 1800 Hrs : Upon Arrival Lumbini. Dinner At Hotel And Overnight At Hotel. 0700 Hrs: Visit To Jetavana Mahavihara, The Sites Of Anathapinthika And Angulimala'S Father House. 1300 Hrs: Transfer To Varanasi Airport To Connect Thai Airways For Onward Journey.